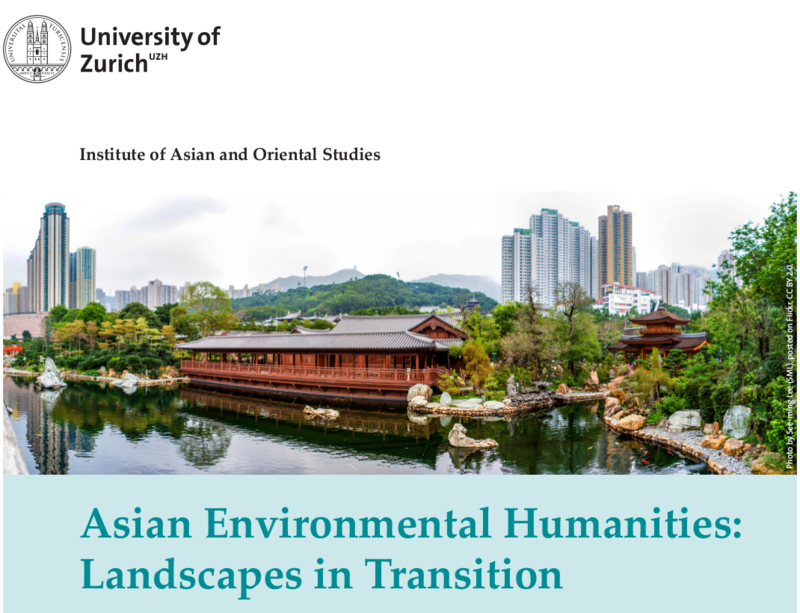 The free online course “Asian Environmental Humanities: in Landscapes Transition” brings together researchers from the University of Zurich and international institutions in order to introduce some of the most vibrant cultural trends addressing landscape appreciation, degradation, protection, and rehabilitation that currently circulate in the Asian hemisphere. Scrutinizing how they are critically reflected upon, the MOOC’s interdisciplinary approach towards regional ecosystems past and present reaches out beyond pragmatic technological solutions to mitigate environmental damage and studies what kind of changes in the people’s prevalent attitudes, values and behavioural patterns are currently contemplated in cultural representations such as art works, poetry, eco-documentaries, media reports or activists’ street performances addressing the rapidly globalizing crisis. The course facilitates multiple encounters with the stories Asia’s landscapes—and landscape representations—tell about actual and possible human-nature relationships, and thus enables learners to define their own range of actions as informed stakeholders for creating a sustainable future. What is arguably no less intriguing: the course teaches how to appreciate a broad range of eco-aesthetic forms that re-enchant the world through their creative dialogues with its nonhuman inhabitants, be it landscapes, plants, animals, or rivers. The course begins for the first time on May 28, 2018 and will be repeated several times.